So having paced around this house for just over a year now, musing, planning, changing my mind with alarming regularity it is time to begin...choosing fabric and colours. this is Rosemary Russet by Sam Pickard...I simply adore it. Everything, the ink drawn lines, the hand-drawn quality, the scale, the printed weave effect and the colours are sublime...this is my number one choice for my bedroom...modern rustic is definitely the way forward. Sam's drawing is fantastic she has a wonderful blog where she captures seasonal flora and fauna in her "colours of the season" posts have a look here. Sam will be exhibiting at the Cornwall Design Fair in August. I am especially besotted with her wallpaper, again that hand-drawn feel appeals. I am also very fond of St.Judes fabrics, this one by Mark Hearld. Oh bother...back to dithering...I'll keep pacing and thinking! Another big fan of St. Jude's here :D You'll get there, it's so sensible to take your time and know it's right. I am in no position to offer anyone advice on choosing, I am the worlds worst at making a decision and will change my mind hourly. If its any consolation you do have fantastic taste! I had to chuckle when I read that you fluctuate between color and neutrals. I can certainly relate! Ooh, what lovely photos! I think the house dictates to some extent, too. I love natural neutrals but our dark, French interior usually forces me to go for my bright, more floral side - if I try a bit of neutral it just looks depressing. 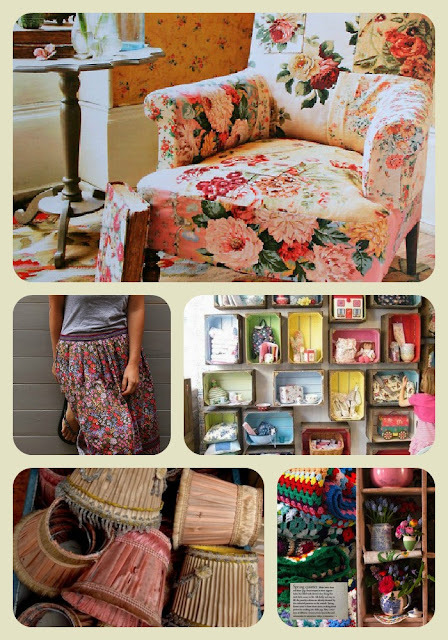 Therefore I keep all the walls plain and jazz everything up with fabric, cushions and vintage finds to suit my current mood. Your fabric choice for the bedroom is wonderful! I am EXACTLY the same. 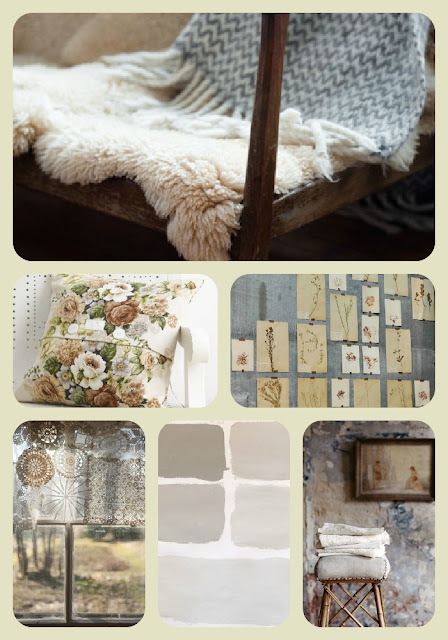 I swing from cosy country chintz and colour to French linens and all things painted and pale. I think that I have made a decorating decision, and then I see a magazine or blog and fall in love with something completely different. I'm going to have admit defeat and realise that I simply have 'eclectic' tastes - either that or invent a new decorating style...how does "Gustavian inspired English country house French" sound?